not so much the glass plates-not a good idea in my house! But definitely something I could work around. I bought a sheet (4 ft x 8 ft) of floorboard, it's thin, cheap, and I liked the texture/grain pattern. I had my buddy at Lowe's cut it down. 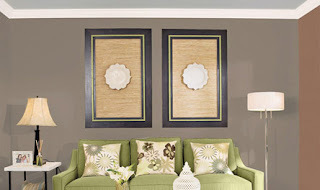 They come in a couple different shades, widths, and sizes. 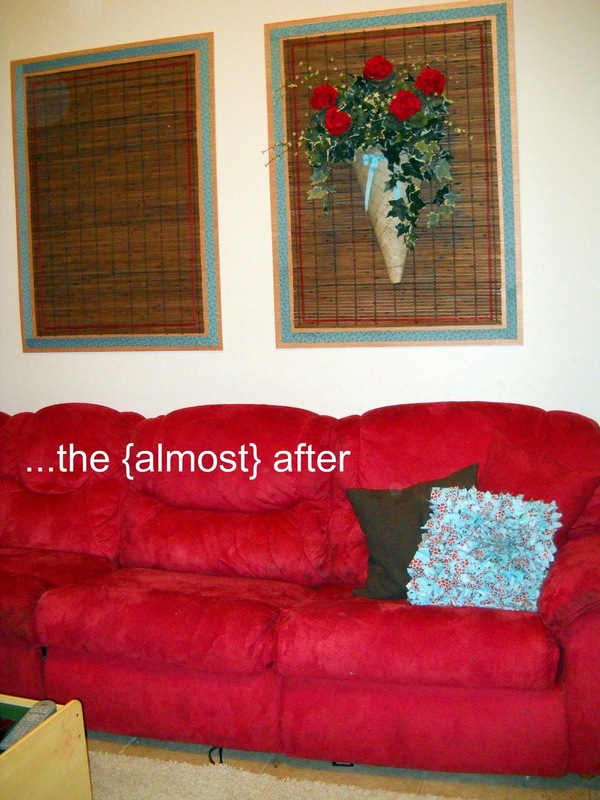 I bought the 32" x 76" ones, thinking that would be plenty-DUH! I ended up going back for a second set. 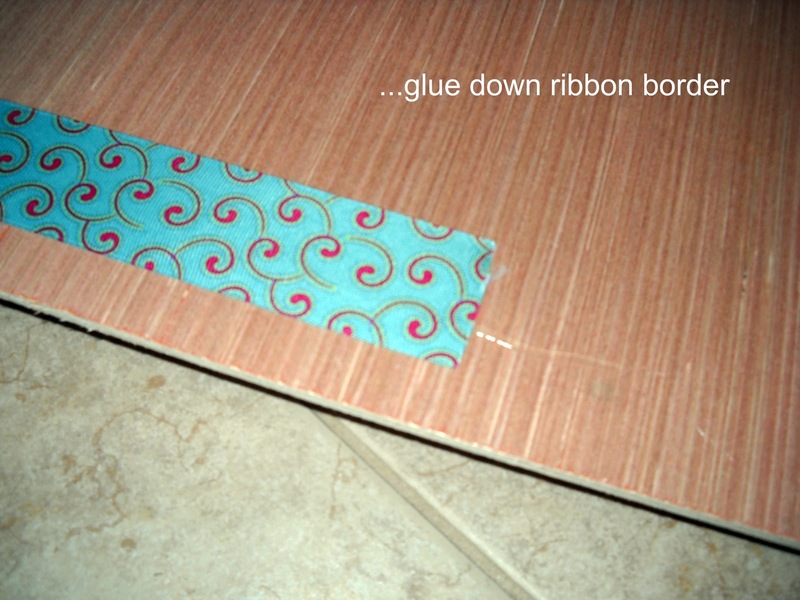 Start by gluing down a ribbon edge. I came in about an inch and went all the way around the board. I squared off the corners by folding the ribbon back onto itself at a 45 degree angle, gluing, and then folding it over itself again continuing up the new side. Your going to have to cut off the hardware and pulleys. 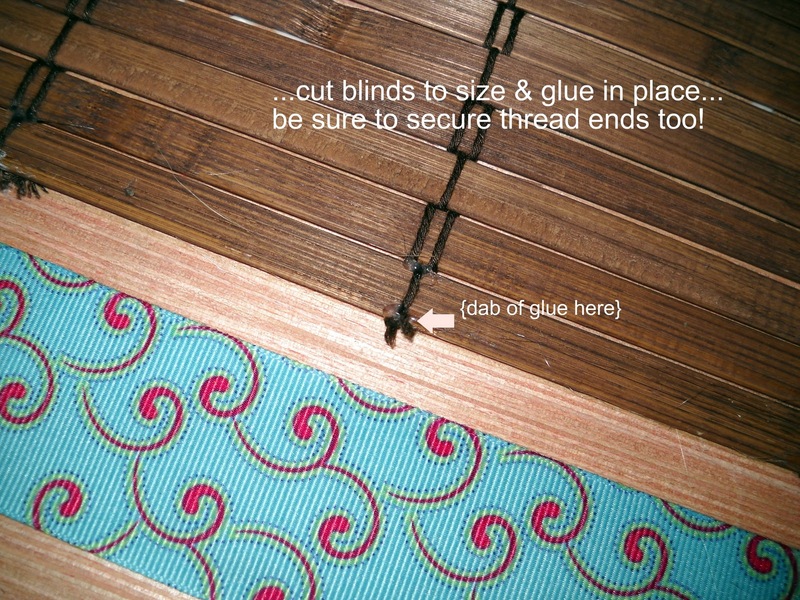 Cut the cords carefully and immediately glue the loose cords onto the slat or they will unravel. 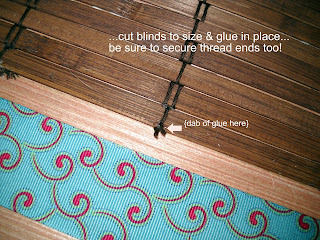 I applied wood glue to the floorboard and then laid the blind piece down on top of that. 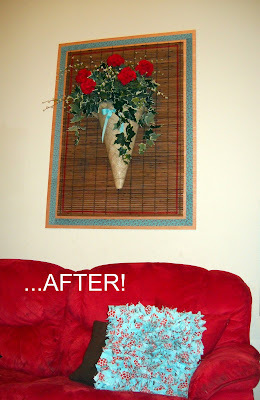 I left a 1/2 inch space between the ribbon edge and the blinds all the way around the piece. 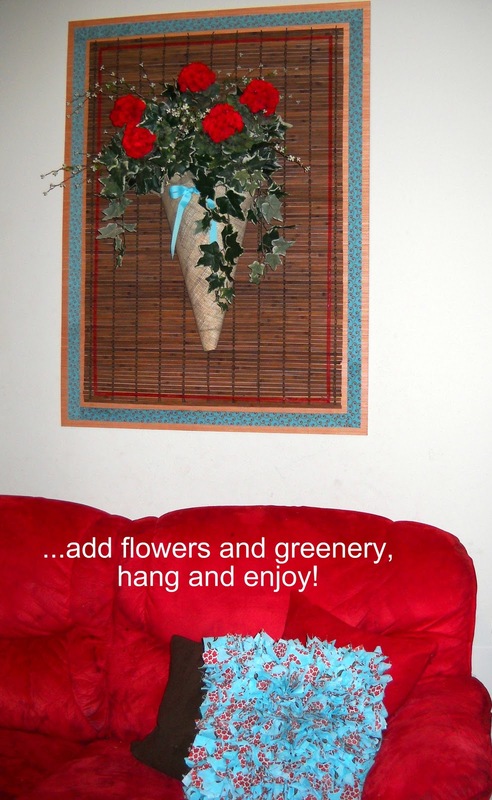 Set something heavy on it and let it dry. **I added a second, thinner ribbon onto the blinds. 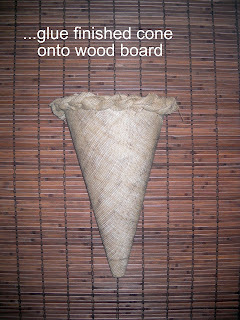 While the wood is drying, move on to making the cone floral containers. 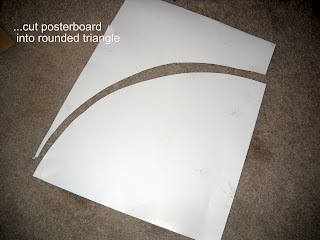 Cut an arch into the poster board. Mine.is 22 inches from the point to the center of the arch. 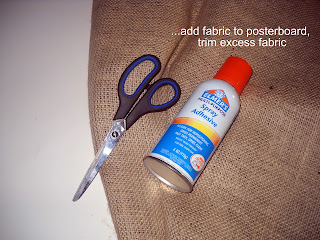 Attach the fabric to the poster board. I used a spray adhesive first and then ran a thin bead of craft glue along all the edges. Trim away the excess fabric. 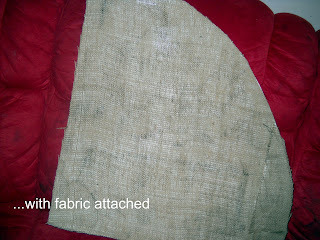 I ran an ink pad across my fabric to give it a little more interest. If you want a flat bottom, turn the piece over and fold up the bottom point. Glue into place. If you'd prefer a point, leave it alone. 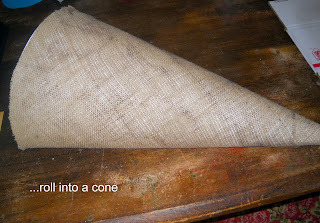 Roll up the poster board into a cone. Run a thick bead of glue between the over lapping edges. 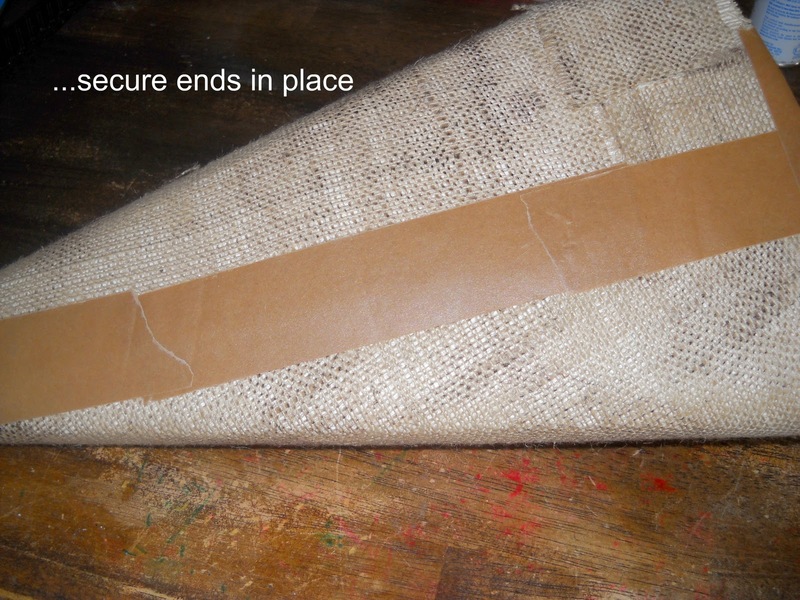 Cover the edges, inside and out, with a strong holding tape also. 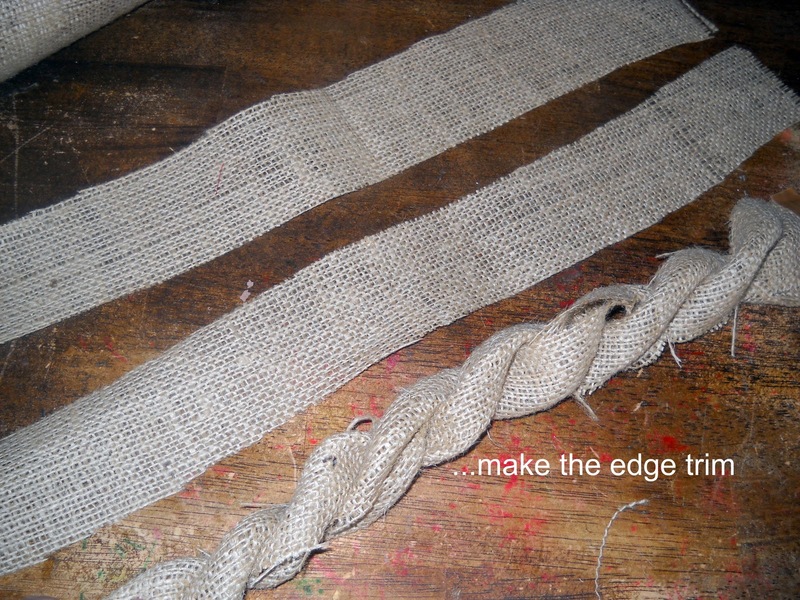 To make the trim, cut 3" wide strips from your remaining fabric. Fold 2 strips in half and then loosely twist them together. Glue in more strips as needed to make the twist long enough to go around the top of the cone-don't add trim to the back of the cone, it will keep it from lying flat. 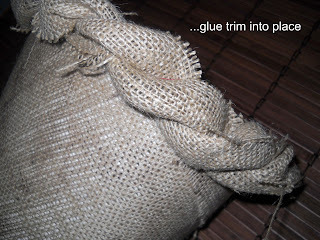 With your fabric glue, add the trim. 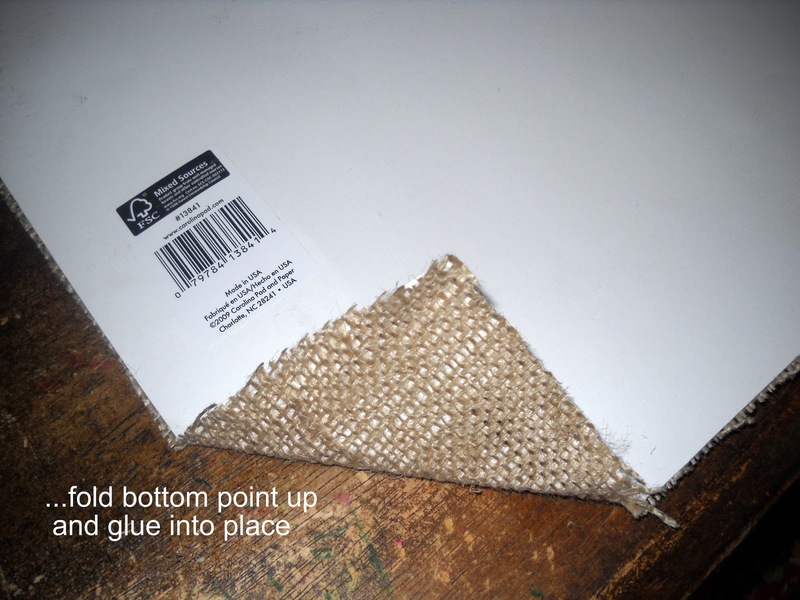 Glue your floral foam square into the cone, on the back side. 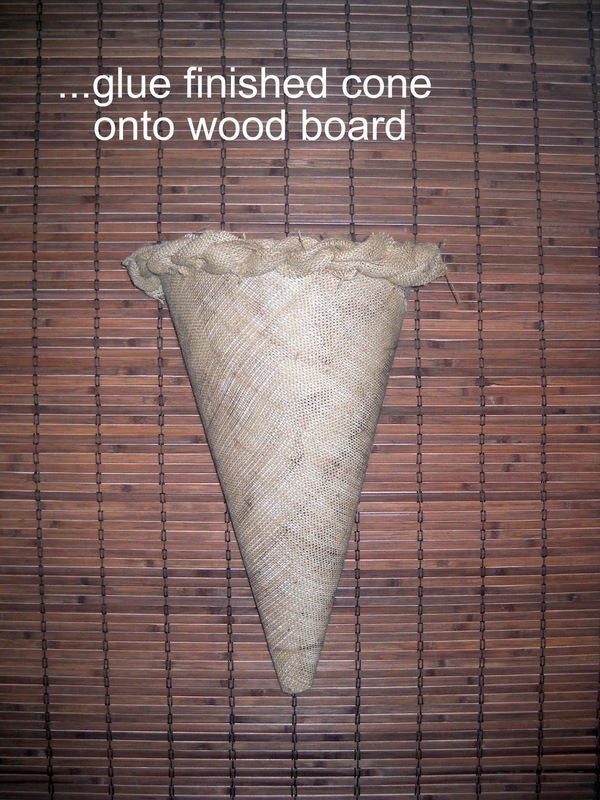 Use the wood glue to secure the cone onto the dried wood piece. 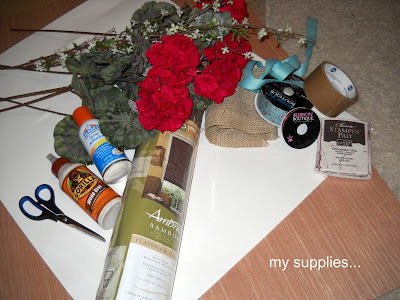 Add your greenery and flowers to the piece, securing them into the floral foam. 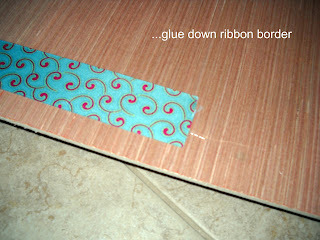 Tie a bow from your ribbon scraps and glue to the cone front. 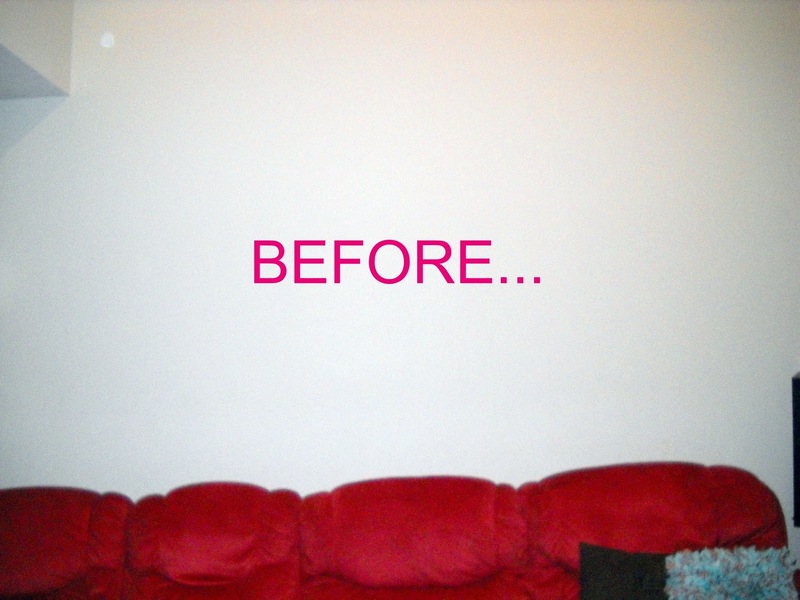 Secure to the wall with nails/screws, sit back and admire your FANTASTIC new wall art! That's what I did today...Happy Crafting! what a great project! 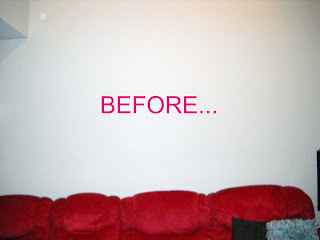 Turned out really nice.